We were approached to help reinvigorate the heritage of the brand and to reflect the premium nature of the product through the packaging. 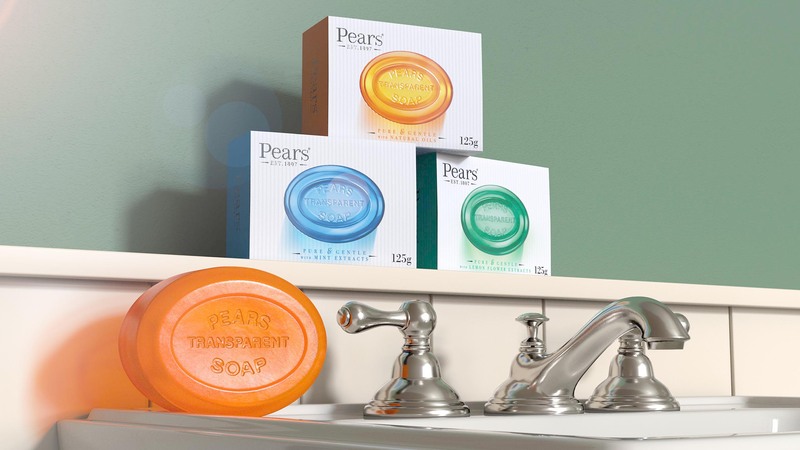 In a market context where soap is perceived as a commodity and brands compete on functional benefits, Pears was left behind due to its tired image and lack of product innovation. Pears is a quintessentially British brand however it’s presence in the UK began to dwindle in the 1990s. 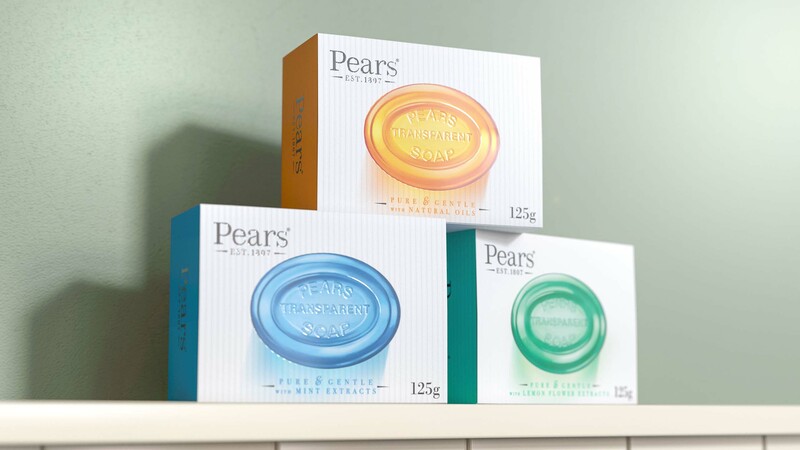 Pears identified a new opportunity for the brand and wanted to relaunch with a new look for the UK. The solution was to draw on the artisanal heritage and re-articulate this in a way that was relevant and exciting for a new, modern generation. With such a rich heritage and authentic story of hand-craft, there was a wealth of brand equity to celebrate and bring to the fore of the Pears’ re-design. A sympathetically crafted design which celebrates the nostalgia associated with this unique transparent bar whilst bringing it bang up to date.